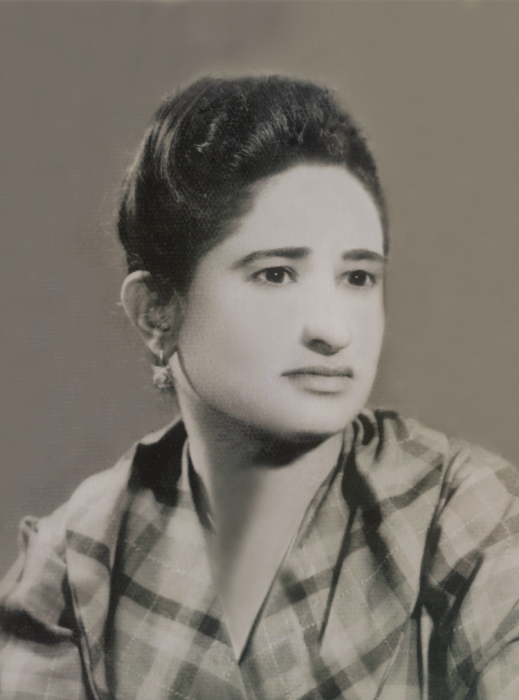 It is with heavy hearts that the family of Mariam Hana announces her passing on Wednesday, November 28, 2018, at the age of 84. Mariam was predeceased by her husband Abrim, her son Isho, and her brother Francis. She will be lovingly remembered by her daughter Sylvia Goriel (Sami) and her children Obrian, Olivia, Marian and Pierre; her son Salem Hana (Josefina Roseano) and his children Isho, Shaina, and Bella Amor; and her daughter-in-law April Hana and her children Adah and Sarah. Mariam will also be fondly remembered by her four brothers and her sister, and numerous nieces, nephews, extended family and friends. A Funeral Service in memory of Mariam will be held on Monday, December 3, 2018 at 12:00 p.m. at Sacred Heart Chaldean Church, 2101 Lansdowne Ave, Saskatoon. The interment will immediately follow at Woodlawn Cemetery. Arrangements in care of David Schurr – Mourning Glory Funeral Services (306) 978-5200.